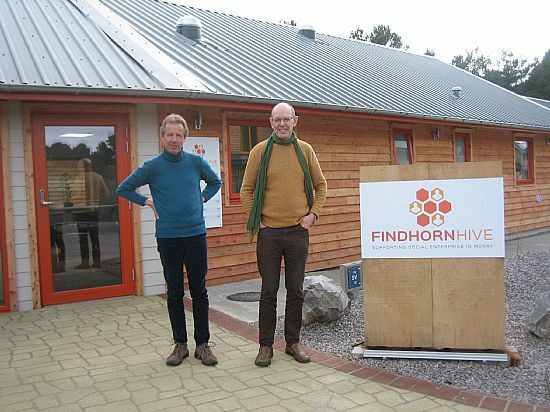 On 1st March 2019 Moray Carshare moved into their own office at “The Hive” – which is a brand new ecologically built office and workshop space for local social enterprises, funded by Moray Leader, and situated behind the Universal Hall at The Park Eco-Village, Findhorn. Manager Gordon McAlpine enthusiatically proclaims: "It is a really lovely space with an interesting collection of neighbours - other social enterpises who will doubtless provide a synergy effect. Being based in The Hive also makes us more accessible to many of our members - there should be someone in the office Monday to Friday from 9 to 5. If we are not in, then you can drop envelopes in one of the 2 letter-boxes by the door. Just make sure they are marked for Moray Carshare. You can still contact us on the same phone number 08458 609 609. If you want to find us on your sat nav, our post code is IV36 3SH, and our longitude and latitude are 3.593550 and 57.653735.